I am a big fan of the entire Christopher Reeve Superman series. Even III and IV, especially IV. Except for CT’s Clark-Superman fight, and some of evil Superman’s antics (drunken bar peanut missiles anyone? ), the rest of Part III can spontaneously combust in a blaze of tar-Kryptonite flames never to be seen again. And other than Christoper Reeve’s Superman/Clark Kent, I think my favorite character is Gene Hackman’s Lex Luthor. Before Byrne changed Lex into a genius businessman, Lex was a genius mad scientist. But right in between, Hackman made Lex a genius, megalomaniacal schemer. Hackman’s Lex wasn’t pigeon-holed into one profession, even though he did have a healthy obsession with real estate. And the brilliance of Hackman’s performance is that he plays Lex as if he always felt like he was in control. Lex always felt there was a way out of every situation. Lex believed he could go toe-to-toe in a room with ANYONE, including Superman. His brains would win over Superman’s brawn. EVERY TIME. Lex is the smartest man in the room. He knows it and he wants everyone else in the room to know it. You can see that supreme confidence in every scene and that's why Hackman’s Luthor is my favorite Superman villain. When I set out to do this Superman themed Favorite Scene Friday the scene I REALLY wanted to do was the first meeting between Lex Luthor and Superman in the original Superman the Movie. Some of the dialogue between Lex and Supes is pretty amazing. However, there is next to zero footage of that up online for me to show you. So, what I’m going to do is put up some of my favorite stuff of Hackman’s Lex from all three movies. Not only is the Lex-Superman stuff GREAT, I think there’s a lot of really good back-and-forth with Lex and General Zod in Superman II. So here are a bunch of my favorite Gene Hackman Lex Luthor scenes from the entire Reeve Superman movie franchise. As far as the first meeting, here’s a chunk from the very end of it. Superman is searching for a bomb, I think. He instead finds Kryptonite. Here’s another great scene with Lex talking about his real estate dealings with Otis and Miss Teschmacher. Here’s the scene in Superman II in which Lex and Zod arrive at the Daily Planet right before the big fight with Superman. Superman arrives and says, “Would you like to step outside?” Lex hilariously says, “Thank God, Superman....I mean, GET HIM!” It’s hilarious to me that Lex is actually relieved to see Superman and that Lex actually thinks he’s in a position to tell Zod to “get him”. I also love all of Lex’s *wink, wink, nudge, nudge* innuendo about Lois and Superman. Remember when I was telling you that Hackman’s Lex was fearless? That he was the smartest in the room? Check out Lex telling off General Zod right after the battle with Superman. I only wish I could find video of Lex’s first meeting with Zod and crew at the White House. That contained some classic Lex moments. Lex wasn’t in Superman III, but he was in Superman IV, but there really aren’t any clips of that movie online. You can find the trailer and that’s about it. Most of Lex’s best stuff in Superman IV are his insults towards his nephew played by Jon Cryer. So these are some of my absolute favorite moments and scenes in the entire Reeve Superman franchise. Hopefully, the next Lex Luthor will carry Gene Hackman’s torch. Nice write up. I enjoy the Reeves' Superman. Takes me back to my childhood. Thanks for the good memories. you know they must bring Lex back for M.O.S. 2, but man......much like I think Reeves will always be the best Supes.....they'll have a hell of a time replacing Gene. Spacey just couldn't cut the Kryptonite. 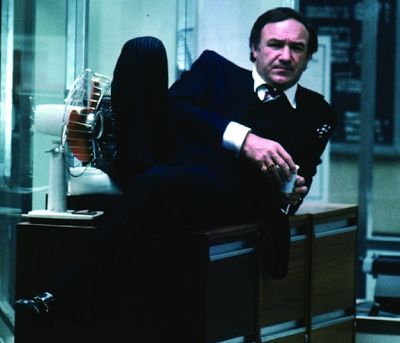 Hackman is first class as Luthor. I really can't see anyone else playing him in those original films. I hope Luthor does pop up in the Man of Steel sequels. Maybe start him out as a "friend" to Superman in MOS2 only to have him turn on him at the end of the film. He could mastermind a group of criminals in #3 and maybe even don a kryptonite-powered exoskeleton??? Thanks for the guest post, Pax! Great collection of scenes here. Hackman really did kill it as Luthor. He brought something so different to the typical movie villain.